Get balanced nutrition to support your health and weight-management goals in a deliciously convenient meal-replacement shake. Hectic mornings and busy days can make it tough to stick to your goal of eating better to support your health. More often than not, they lead down a fast-food drive thru. Or to skipped meals, which isn’t a recipe for feeling focused and energized. 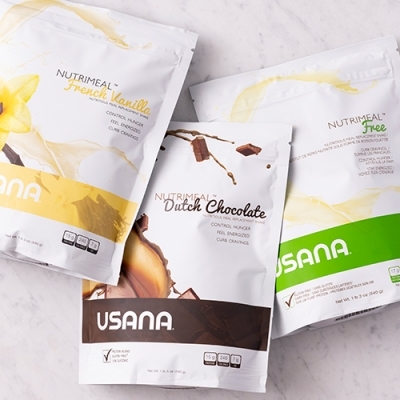 Making a better dietary choice is doable and delicious with convenient USANA® Nutrimeal™ meal-replacement shakes. 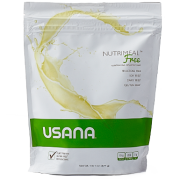 Drinking USANA Nutrimeal is a great healthy habit that will help you manage your weight and keep your dietary choices on track. It makes a quick, easy breakfast or nutritious lunch on-the-go. It’s also a great solution for those who need a boost of quality nutrition to ensure they stay strong and healthy, including athletes or older adults. 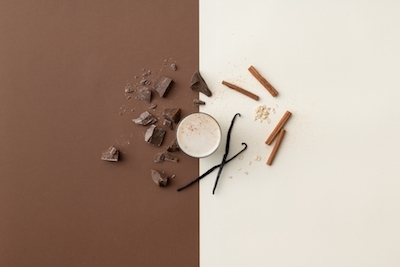 Nutrimeal is available in three varieties—Dutch Chocolate, French Vanilla, or Nutrimeal Free—so you can choose the flavor and protein option that works best for you. 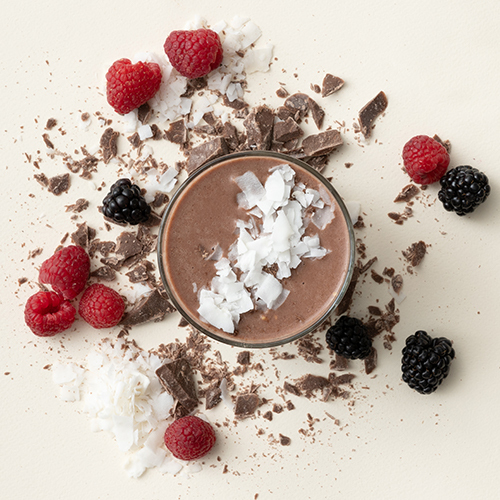 Every shake serves up delicious nutrition that will satisfy your hunger, so you can feed your appetite for life. 7 Frequently Asked Questions About USANA Nutrimeal? Proper nutrition can help you face each day with vitality. Your body gets the energy it needs from macronutrients in the food you eat. Carbohydrates, protein, and fats are broken down in the digestive tract. Then the nutrients are delivered throughout your body, so you (and your body) have the fuel you need to function. A healthy, whole-food diet is the best way to get the nutrition your body needs. But if you want a simple solution for a balanced meal, even on-the-go, you can eat to your advantage with USANA Nutrimeal. Nutrimeal fits into a balanced diet by providing the goodness of a healthful meal in a convenient shake. Every serving delivers a carefully formulated ratio of fiber, protein, fats, and low-glycemic carbohydrates that can help satisfy hunger and support your daily well-being. Fiber is particularly important. Most people need to consume considerably more fiber than they do. Nutrimeal is packed with fiber to help boost your intake. It’s an excellent source of soluble and insoluble fiber. Fiber isn’t the only ingredient that makes Nutrimeal heart smart. It’s also high in quality sources of protein that can help maintain cardiovascular health. Low-glycemic carbohydrates will also help keep your energy levels stable. They’re digested more slowly, so your energy stays steady. This is unlike the high-glycemic carbohydrates you’ll find in many refined foods. These are used up quickly, causing your energy levels to plummet when your blood sugar comes crashing down. 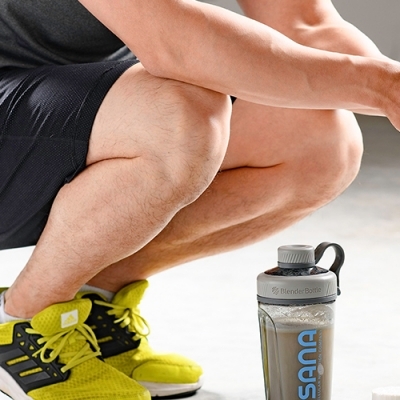 Whether you need to lose, gain, or simply maintain your weight, USANA Nutrimeal can be a tasty part of a healthy, fit lifestyle. To maintain your weight, simply determine how many calories you should consume per day and incorporate a Nutrimeal shake where it makes sense for you. To gain weight, you likely need to eat more frequently. So, you can use Nutrimeal as a convenient way to add more calories from a balanced, nutritious source. 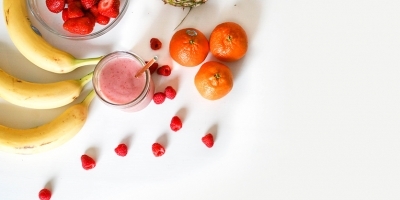 If you’d like to shed a few pounds to look a little better and support your health, drinking a shake or two in place of a regular meal every day could help. And remember to take your supplements to help fill any gaps while you’re reducing your food intake. 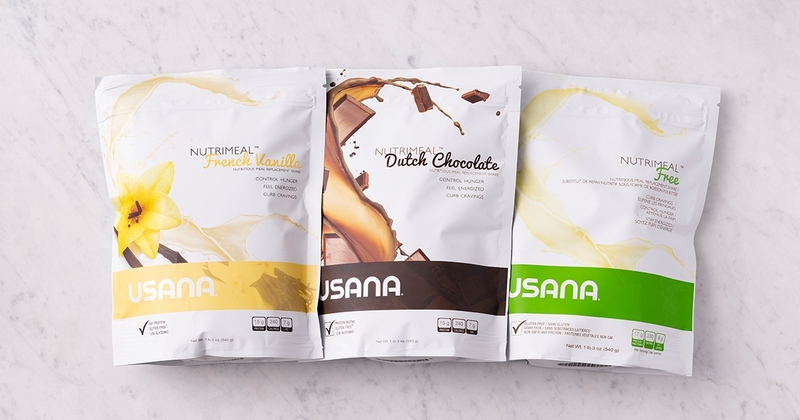 USANA Nutrimeal is the cornerstone of USANA’s 5-Day RESET program—a quick jumpstart into losing weight with healthier eating and lifestyle habits. ** This is because Nutrimeal is formulated with a good balance of macronutrients that will keep you feeling satisfied. And it helps sustain your energy levels while you are cutting back on calories. Its low-glycemic formula may also help you reduce cravings. Cravings often stem from a drop in blood glucose, especially after eating foods that rank high on the glycemic index. This is a relative ranking of carbohydrate in foods according to how they affect blood-glucose levels. High-glycemic foods cause a rapid rise in blood glucose followed by a rapid drop. This rollercoaster sends you searching for snacks. Because when your blood sugar plummets, suddenly you’re starving and tired. So, your brain starts urgently telling you to stuff your face with foods to quickly get your blood-sugar levels and energy back up again. Low-glycemic foods, like USANA Nutrimeal, can help you get off that rollercoaster. These foods digest more slowly, so your blood-glucose levels don’t have such extreme highs and lows. This helps you avoid the crash that stimulates a strong desire for unhealthy foods. So, it will be easier for you to make a better choice at your next meal. And those little daily choices will add up to a big transformation. 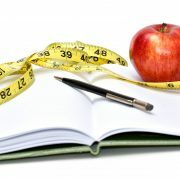 Taking the guesswork out of meal planning is another way USANA Nutrimeal makes managing your weight simpler. Each tasty meal-replacement shake is only 240 calories (230 for Nutrimeal Free). Sticking to portion-controlled meal replacements for one or two meals a day has been shown to be effective in helping dieters lose weight and keep it off. Constantly feeling hungry is the death-knell for any efforts to sustain a weight-management program. Adding more dietary fiber, along with protein and a little bit of fat, to your meal can help control hunger. This will help make it easier to stick with your calorie-reduction plan and achieve waist-reduction success. Dietary fiber comes from substances resistant to digestion. These substances usually originate from lower-calorie, plant-based sources. They help slow digestion and fill up your stomach to keep you feeling fuller, longer. This feeling of satisfaction is called “satiety.” By improving satiety, the dietary fiber in Nutrimeal can help you eat less without feeling hungry. Protein is helpful for weight management, too. And not only because it helps control hunger. It’s also vital for helping you lose weight the right way. As you slim down, you want to lose mostly fat, not muscle. Protein helps preserve your lean body mass while losing weight. 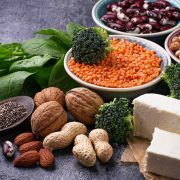 And once you reach a lower number on the scale, protein can help you keep the weight off and maintain a healthier body composition—with less fat and more muscle. Maintaining a healthy lean body mass is important for weight management because it helps support a normal basal metabolic rate. This is the number of calories (energy) your body needs to carry out its basic functions—like breathing and circulation. 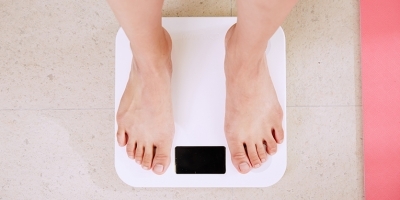 People with more body fat and less muscle tend to have lower metabolic rates than those who are leaner. So, by getting rid of the fat and not the muscle, you may help maintain a healthy metabolism. Keeping your muscle mass isn’t only important for those trying to lose weight. Mature adults and athletes also need to ensure they get balanced nutrition with plenty of protein to help them stay strong and active. A Nutrimeal shake will help maintain muscle by helping to fill some of their daily protein needs. Plus, the other important macro- and micronutrients will also help fuel a healthy body. 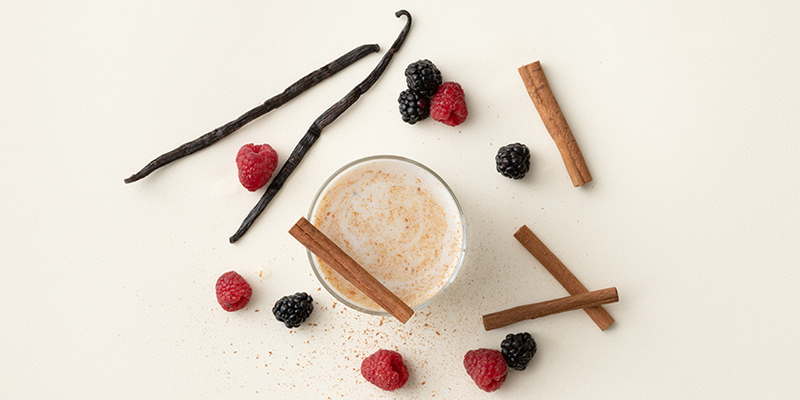 For a rich, creamy shake, combine three (3) scoops with 10–12 ounces of cold water to taste. Thoroughly mix in a blender or BlenderBottle® for 45 seconds. To increase thickness, blend with ice. To make your shake even more filling, blend with USANA MySmart Fibergy Plus Booster. To bump up the protein, blend with plain Greek yogurt, milk (dairy or non-dairy will work), or MySmart Protein Plus Booster. For even more flavor variety, try blending with your favorite fruits, veggies, spices, or extracts. 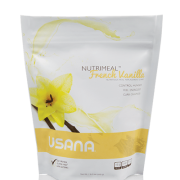 Enjoy the great taste of satisfying nutrition with USANA Nutrimeal. †For our customers sensitive to gluten: No gluten-containing ingredients are used in this product. However, Nutrimeal is produced in a facility that manufactures other foods that do contain gluten. Nutrimeal is produced on equipment that also processes peanuts, tree nuts, eggs, wheat, sesame, and shellfish. Frequently Asked Questions About USANA Nutrimeal? Why don’t the Nutrimeals contain more protein? The Nutrimeal drinks are intended to be snack and meal replacements and not protein specific supplements. They are specifically designed to be balanced with respect to carbohydrates, proteins and fats. The Nutrimeals have a calorie breakdown of approximately 50% carbohydrates (half complex and fiber, and half sugars), 25% protein and 25% fat. This balance is essential to the purpose and function of the product. Is the amount of fructose in Nutrimeal unhealthy? There is currently widespread confusion about fructose, in part due to inaccurate mainstream reporting about high-fructose corn syrup, raw fructose, corn-syrup solids, and other fructose sources and compounds. It is certainly true that excessive intakes of any of these fructose sources would be unhealthy (as is the case with most everything), but moderate intakes of these ingredients within the context of a healthy diet are simply not dangerous or unhealthy. Fructose is nothing more than a simple sugar found primarily in fruits and vegetables. One advantage of using fructose is its very low glycemic index (compared to glucose and some other sugars), while still being quite sweet. This allows it to be used at lower dosages without a penalty to taste. Additionally, while it is true that fructose is metabolized slightly different from glucose, please note that fructose does not automatically “turn into fat” or cause negative effects on blood lipids – despite what some websites may suggest. Much of fructose’s metabolism depends on the dosages used and the activity level and caloric requirements of a given individual. As with any excess calories – whether from protein, fat, or carbohydrates – fructose can contribute to weight gain. But again, dosage is key. If fructose alone were responsible for causing weight gain, most vegetarians would tend to be heavier than they are since vegetarians’ fruit intakes are generally quite high. The amount of fructose contained in the Nutrimeals is similar to the fructose content of several common fruits, as the following table shows. This table presents information on the sugar content of 21 common fruits and fruit juices. Values are for normal serving sizes, and they represent blended averages across multiple cultivars and samples of a given food. Individual values are presented for the three major sugars found in fruits (glucose, fructose, and sucrose). In addition, values for total sugars (which may include other minor sugars, such as mannitol and sorbitol) are given. The data presented were taken from a United States Department of Agriculture publication titled Sugar Content of Selected Foods (1987). Unfortunately, misinformation is easily available on the internet and many people accidentally recycle such information without fully understanding what it claims. Sometimes the information may even be valid, but inappropriately taken out of context and used to draw incorrect conclusions. The fundamental point of this article is to reinforce that good health requires variety, balance, and moderation. USANA does not advocate eating only fructose as a sweetener, but it does have a place – in appropriate amounts – in healthy products. Stated another way: there is a big difference between getting fructose as a sweetener in a soda or some other nutrient-poor food, and getting it as part of a balanced diet. Why does Nutrimeal contain so much sodium? Although too much sodium can be of concern, please note that sodium is an essential mineral and electrolyte. 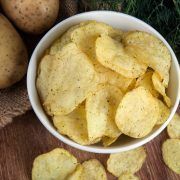 The recommended sodium intake for healthy adults sits near 2,400 mg per day, and even doctor-prescribed low sodium diets rarely drop below 1,000 mg per day. Intakes below 500 mg per day can result in serious health conditions, including death. Because the Nutrimeals are classified as meal replacements, adequate sodium is absolutely necessary to prevent serious health consequences. This is especially true during hot summer months, during times of exercise, or in circumstances where individuals choose to use the products as a primary source of nutrition. In modern times, many individuals have begun to take sodium for granted since it can be easily consumed in excessive amounts. However, this does not mean that sodium is inherently “bad.” We have included a level in the Nutrimeals that is the lowest we would consider safe for adults subsisting entirely on our products for any period of time. Many products claiming to be “meal replacements” run the risk of being much too low in sodium. In our opinion, the unscrupulous manufacturers of such products risk the health of their customers in an attempt to “look good” on a label. 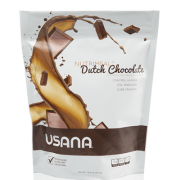 If someone has additional concerns about the sodium content of a USANA Foods product, we recommending consulting a physician. He/she will be best able to know whether or not the amount of sodium in a given product is above an individual’s current requirements. How long can I store Nutrimeal after mixing it? The Nutrimeals are better quality-wise when eaten immediately after making them, but their nutritional value and safety would still be fine for few days if they are refrigerated. It is also recommend that you cover and seal the container it will be stored in, since air will cause a greater loss of some nutrients. Is the protein used in Nutrimeal genetically modified? With a mix of planning and action, you can achieve your weight management goals. 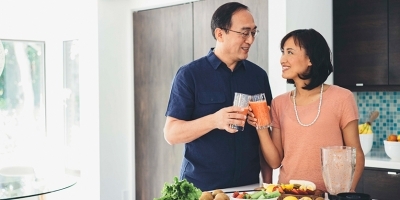 Start using this weight management checklist to jumpstart your efforts. You may have an idea of what a healthy diet is. One study found the best and worst foods for your waistline. Find the foods to avoid. **Individual RESET results may vary. The 5-Day RESET program lowers your daily caloric intake and recommends moderate exercise for best results. It is suggested that you take the RESET products to your physician and secure his/her advice if you intend to change your diet, begin an exercise program, are pregnant or lactating, have allergies, are taking medications, or are under the care of a physician. Children under the age of 18 should not participate in the 5-Day RESET program, except on the advice of their physician and/or dietician.